I recently came across a very disturbing article in last month’s The Independent Voice. 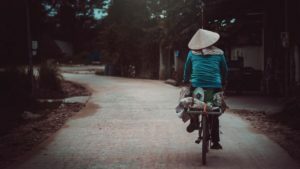 Vietnam is a developing country in Southeast Asia and its people are anxious to connect with the world using the latest technology. Studies indicate approximately 68% of the Vietnamese have smartphones and an even higher percentage have internet access. So while it is still often difficult for those located in rural areas to obtain running drinking water, technological use is widespread. However, internet use is unfortunately far ahead of safety awareness. Nowhere is this more alarmingly apparent than the growing problem of organized groups of young men sending friend requests to young girls on Facebook in an effort to trick them into forced marriages. These men act as agents to lure young girls living in villages close to the Vietnamese-Chinese border. Why? Because in China men greatly outnumber women, and there are Chinese men so desperate to find women to marry that they solicit the services of these unscrupulous profiteers. These agents often travel to a well-known trading post on the border to sell young girls. Since Facebook is banned in China, Chinese clients are using “WeChat, Weibo, and Viber” as dating apps to purchase kidnapped brides. Human trafficking is a growing $150 billion a year business, enslaving over 40 million women, children, and men in forced sexual and forced labor exploitation. The chance of being enslaved in the Asia Pacific region is twice as high compared to developed countries. Human trafficking in this region is only getting worse. Advocates insist more safeguards for internet users in developing countries must be put into place on par with users in the developed world in order to combat trafficking. Please check out their website at https://www.pacificlinks.org to learn more. Interested in reading a novel about the international human trafficking crisis? Check out True Mercy. Available on Amazon, IngramSpark, and Smashwords. 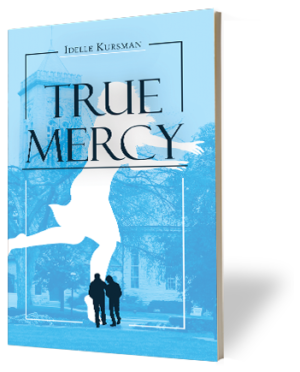 True Mercy would make a perfect holiday gift for friends and family—designed to provide an engaging read as well as to inform the public on the evils of human trafficking.